No. A long barrel is not being added to ordinary contact lenses. But scientists are researching the technology necessary to bring people (elderly people as of the moment) the opportunity to variably adjust their vision like a zoom lens. Nothing particularly fancy is involved with the process. 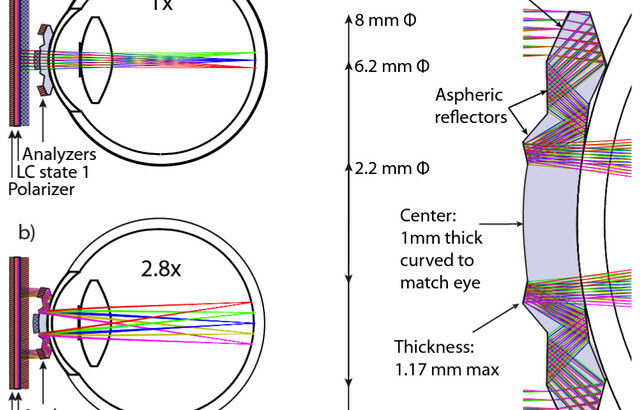 The contact lenses magnify what is being seen nearly three times normal size. Special polarized 3D glasses act as the method to switch between normal and magnified vision. The contact lenses themselves are slightly different from normal contact lenses. They are made of concentric regions where the edges reflect and magnify light. The middle regions let in light normally. 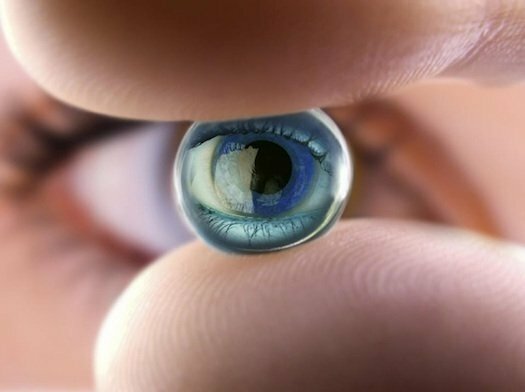 It is made of the same material used to make first generation contact lenses. While the contact lenses magnify light, wears will still see normally upon putting them on. 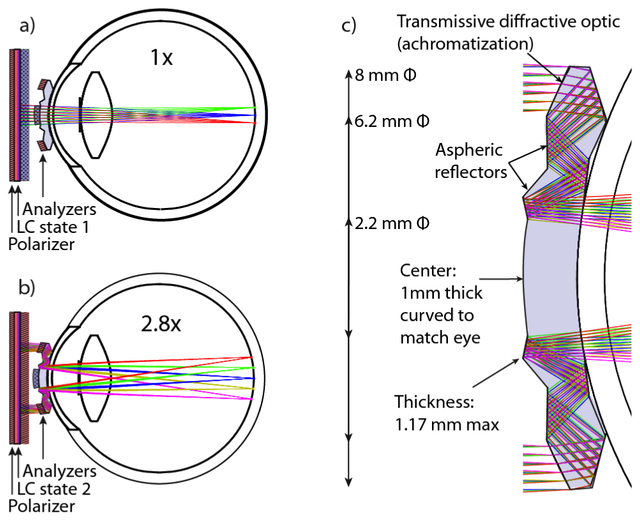 Only after putting on the glasses and bouncing light around the outer region of the contact lenses will images magnify (figure C). The technology could be used for elderly people in the United States whom are losing their vision. However, there is speculation that this technology could be used to create eagle-eyed soldiers as it was funded by DARPA.